Joe Martin is a jazz bassist and composer. Martin was born in Kansas City, Missouri, and raised in Pella, Iowa. Martin moved to New York City in 1994 after graduating from William Paterson College. Prior to that he studied at DePaul University in Chicago. His recording debut was Passage, a quartet album with tenor saxophonist Mark Turner, pianist Kevin Hays and drummer Jorge Rossy, recorded in 2001. Seven of the eight tracks were Martin compositions. 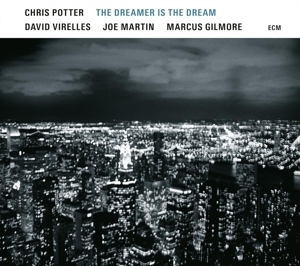 His second album as leader was Not by Chance, in 2009, with Chris Potter (tenor sax, soprano sax, bass clarinet), Brad Mehldau (piano), and Marcus Gilmore (drums). Martin has often worked in Turner's quartet, and in guitarist Gilad Hekselman's group. He has also worked with Chris Potter's quartet, Kurt Rosenwinkel, and Anat Cohen.